Color is the most supple, exciting, immediately noticeable and the least expensive element in decorating. Different color combinations can make the same room seem welcoming or impersonal, warm or cool, restful or stimulating, harmonious or jarring. Color is the most important element when we design any interior. It creates atmosphere, determines mood, and communicates a message about the space that it permeates. It is the dominant vehicle of expression in any interior space. In the achromatic color scheme we use non-colors like black & white and their shades. This color scheme is one in which many shades of a single color are used. 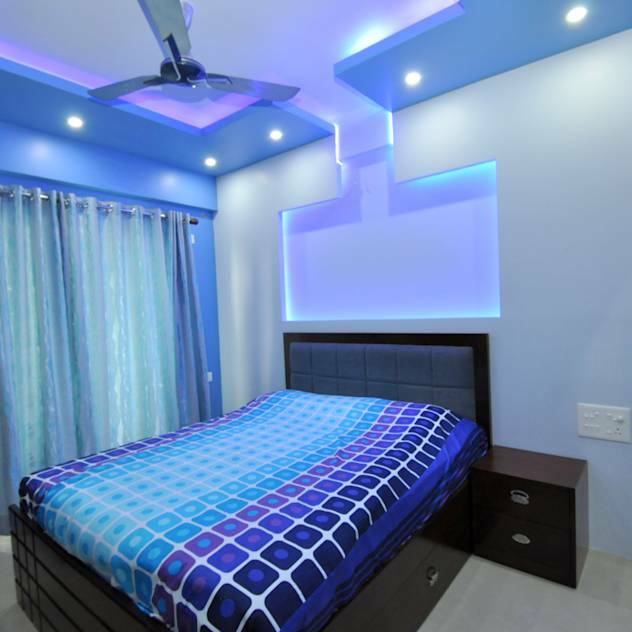 This color scheme proves to be simple yet attractive. This is the simplest of all schemes in which one or two colors are used with black, white or gray. This scheme permits the use of colors which adjoins each other on the chromatic circle, such as yellow, yellow-green & green. In this scheme along with analogous scheme we use the color opposite to the middle color of the three adjoining ones. This color scheme is obtained by mixing three equidistant colors in the chromatic circle. Eg., Red, Blue and Green. Two colors opposite each other in the chromatic circle such as red & green or blue and orange are used in this color scheme. Double Split Complementary paint color schemes offer a lot of contrast, interest and variety, but the downside is, they can become busy and mismatched if not balanced properly. 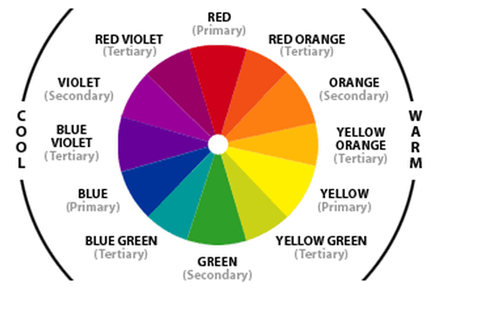 Two colors from different segments of the color wheel are contrasting colors. For example, red is from the warm half of the color wheel and blue is from the cool half. They are contrasting colors. ​Red is the color of fire and blood, so it is associated with energy, war, danger, strength, power, determination as well as passion, desire, and love. ​​Orange combines the energy of red and the happiness of yellow. It is associated with joy, sunshine, and the tropics. Orange represents enthusiasm, fascination, happiness, creativity, determination, attraction, success, encouragement, and stimulation. ​Yellow is the color of sunshine. It's associated with joy, happiness, intellect, and energy. Yellow produces a warming effect, arouses cheerfulness. Blue is considered beneficial to the mind and body. ​Purple combines the stability of blue and the energy of red. Purple is associated with royalty. It symbolizes power, nobility and luxury. Purple is associated with wisdom, dignity, creativity, mystery, and magic. ​white is associated with light, goodness, innocence, purity. It is considered to be the color of perfection. White means safety, purity, and cleanliness. As opposed to black, white usually has a positive connotation. Black is associated with power, elegance, formality, death, evil, and mystery. Black gives the feeling of perspective and depth, but a black background diminishes readability. When designing for a gallery of art or photography, you can use a black or gray background to make the other colors stand out. Black contrasts well with bright colors. Combined with red or orange – other very powerful colors – black gives a very aggressive color scheme.